Since some years ago Android continue killing OS with remarkable work done by Android developers and programmers.Developers and Programmers continue creating so many interesting Apps and Games that you enjoy at your leisure time. Android enjoy PC Apps and Games in a way that developers and programmers create alternative Apps and Games for Android phone.Android is enjoying our Apps and Games (PC) while can't we enjoy Android Apps and Games also, that means we are seating on unbalanced chair. 2. Extract the file to the destination you want. 4. Open the extracted file and run Remix OS. 5. Setup and Install your favorite Apps and Games. 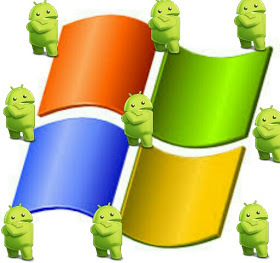 Right now seat,relax and feel comfortable to use all Android Apps on PC. Get Our Free Browsing Tweaks via Sms. Kindly sms Follow StzBlog to 40404. On Any Network And Sms is free.